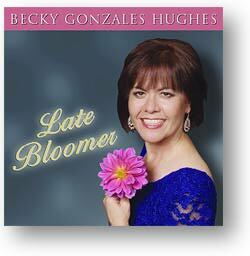 This CD was a present for Becky's 50th birthday from her husband Luther. Read the whole story in the biography section, as well as the reviews in the media! CD BABY: CD Baby accepts VISA, Mastercard, AMEX, Discover & PayPal, and offers a choice of shipment options. CD Baby handles both domestic (U.S.) and international orders. OTHER OPTIONS: CD can usually be purchased from Becky or from Luther Hughes at any of their gigs.